It’s almost time for the next European Commons Assembly, a global gathering of commoners and commons activists in MediaLab Prado, Madrid. 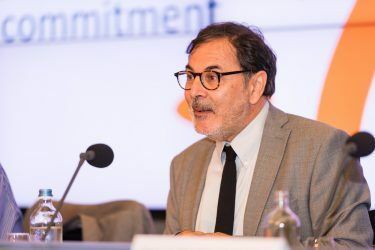 Commons Network is one of the organizers and we welcome you to join us. You can go here to join us. For more information on the Assembly, read this post. 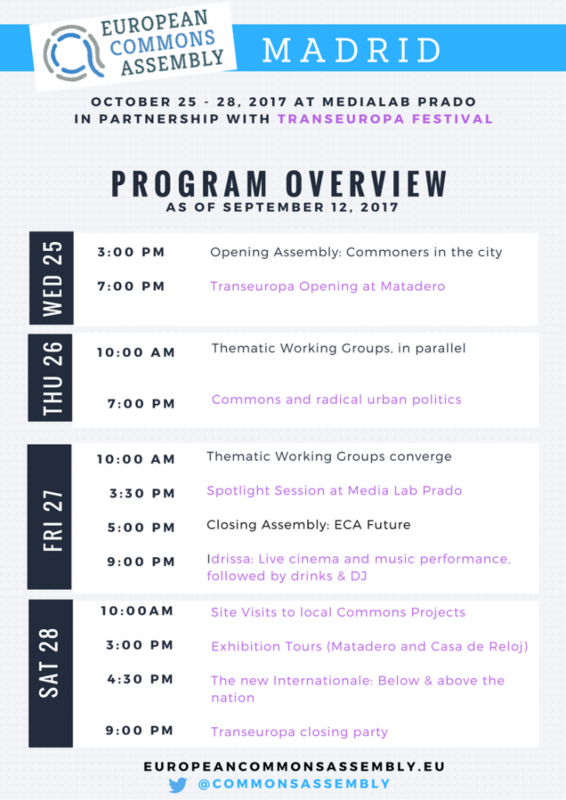 The European Commons Asssembly is organized together with the Transeuropa Festival. This means you will have a chance to be part of an important week, full of new ideas, activism, art and progressive politics. We are looking forward to it. And we hope to see you there!